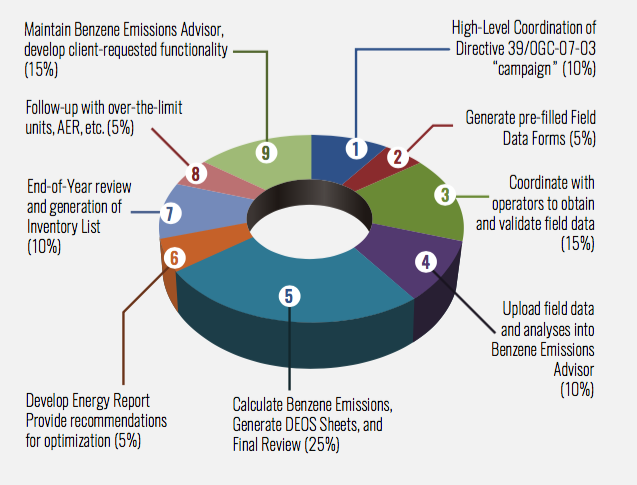 Process Ecology offers the web-based service Benzene Emissions Advisor for the oil & gas industry to ensure compliance with AER Directive 039 as well as tools and services that enable an efficient workflow to manage and reduce both benzene emissions and operating costs for glycol dehydrators. The primary objective of our service is to simplify every aspect of your AER Directive 039 (and related OGC/SK) responsibilities–from coordinating sampling, gathering and reviewing data from the field, generating DEOS sheets and Inventory Lists, storing data, maintaining audit trails, and following up with the AER/OGC/SK –all in a way that can be easily budgeted. As part of our service, experienced engineers review and validate data; rigorous simulation models are used to calculate emissions. Regulatory activities can be leveraged to find the best opportunities to reduce benzene and methane/GHG emissions revenue. 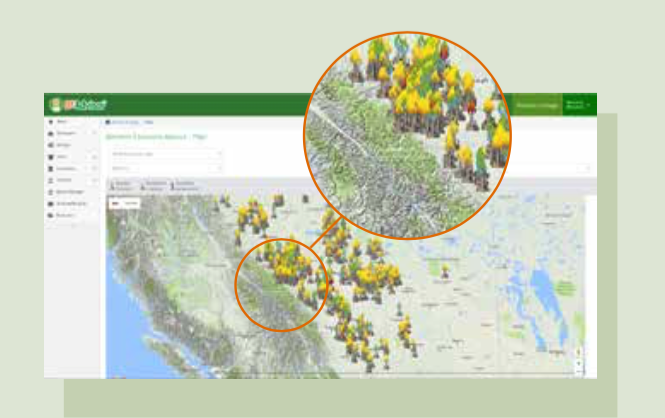 Mapping and reporting tools are available to quickly identify these opportunities. Founded in Calgary, Alberta in 2003, we have substantial experience in engineering consulting for the oil and gasindustry and extensive knowledge of process simulatorsand their capabilities. Our history with a wide variety of process modelling and engineering studies has led to a unique consulting practice to manage and reduce bothbenzene emissions and operating costs for glycol dehydrators.